FasNSmooth is a light, flexible, UL Listed chimney liner from the makers of Ventinox. 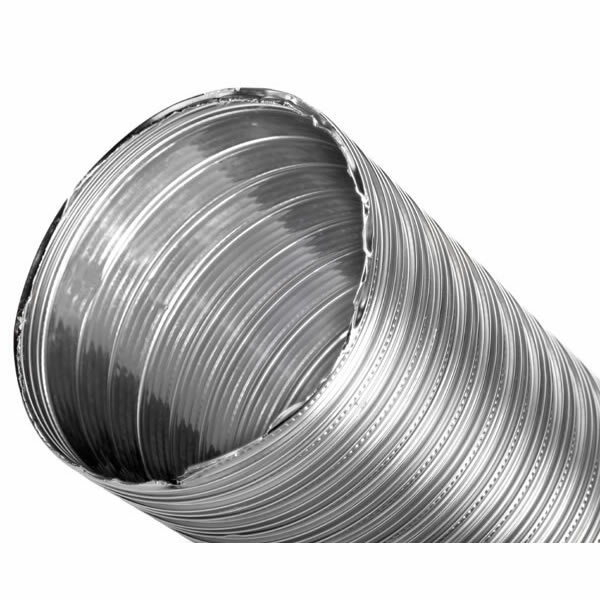 FasNSmooth can save you money on gas or oil furnace relines because you don't have to upsize to a larger diameter corrugated liner corrugated liner. That means you save money on the liner and on liner installation. FasNSmooth smooth wall liner is also easier to clean on wood installations. This high performance light liner is constructed of two plies of .005-in. 316Ti stainless steel. It uses the SureSeal locking system for strong, rugged seams, yet it is still extremely flexible. FasNSmooth's flexibility makes it easy to uncoil out of the box and it makes it easy to pull through the chimney offsets. FasNSmooth liner works with the great FasNClamp fastening system components for which Ventinox is famous.